On January 19th, Shayna Cohen attended the third annual Rhode Island Food Summit which brought together more than 400 government, industry, education, nonprofit, and community partners whose work comprises and supports the state’s food economy—a kind of who’s who of Little Rhody’s food system. Topics covered a broad range of issues reflective of KK&P’s past and current work in the state, including catalyzing food business growth, expanding markets for local and regionally produced foods, increasing food industry workforce opportunity, reducing food insecurity, leveraging the state’s strength, and more. 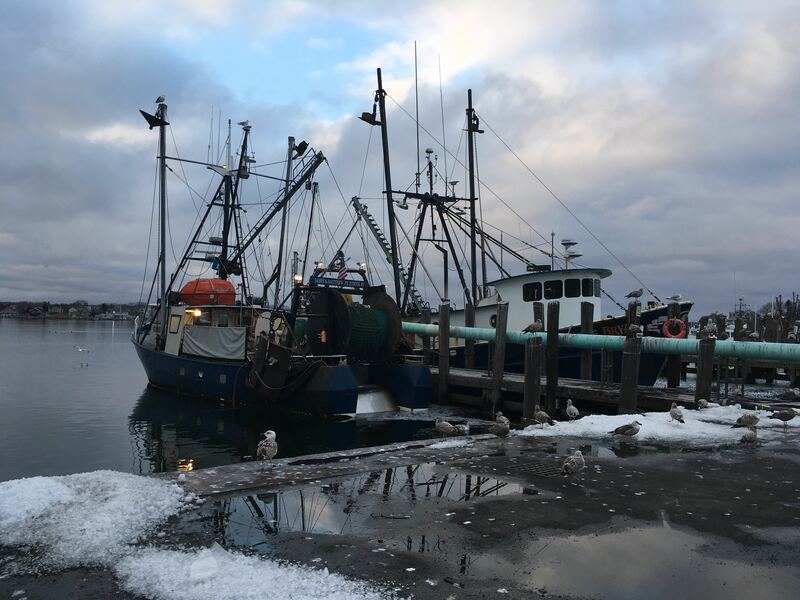 After the formal program, Shayna toured a few businesses within the commercial fishing Port of Galilee, where, each year, more than 45 million pounds of wild harvested fish and shellfish are unloaded. Below are some photos from the tour. Two boats here are unloading their catch. 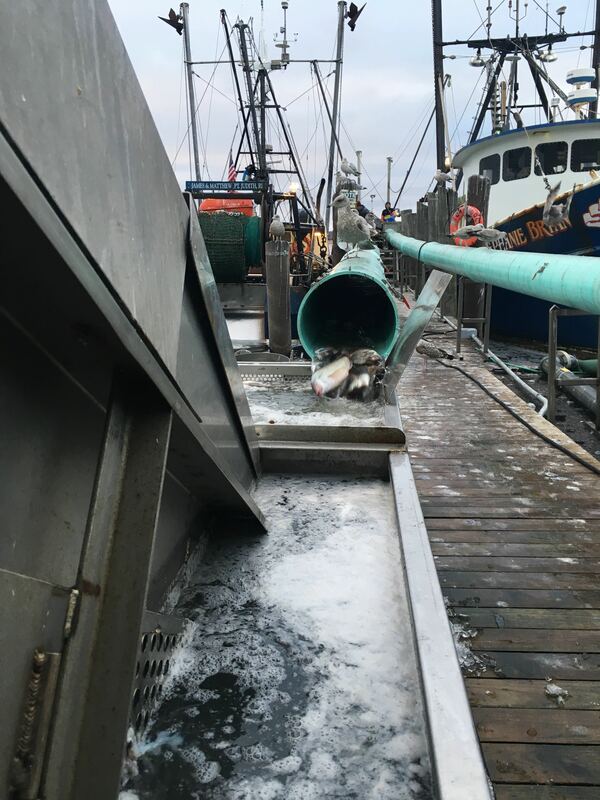 About 15,000 pounds of scup are manually shifted from the boat, into a hopper, and then through the tube that extends from the boat to the pack house. 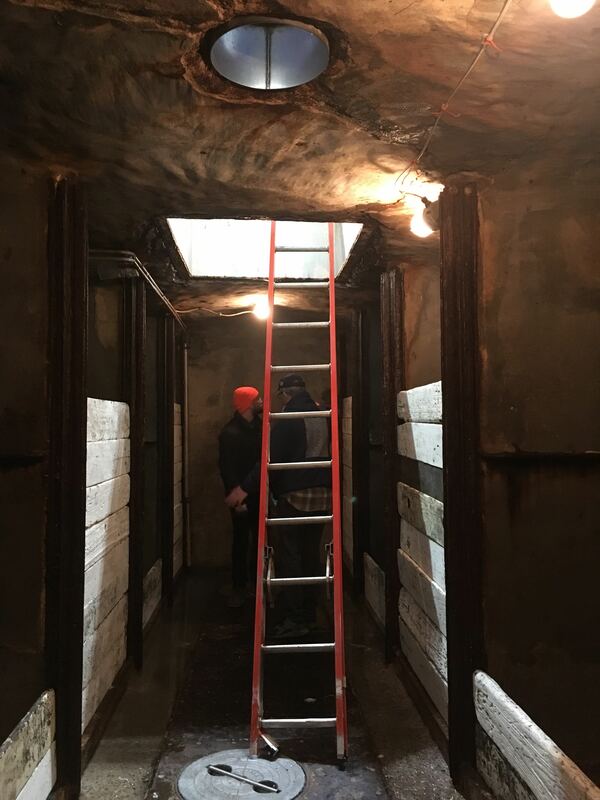 Inside one of the commercial fishing boats there are barn-like ice pens where the fish are kept, packed carefully on ice, while at sea. Scup pass from the tube into icy freshwater, then travel up the conveyer belt. 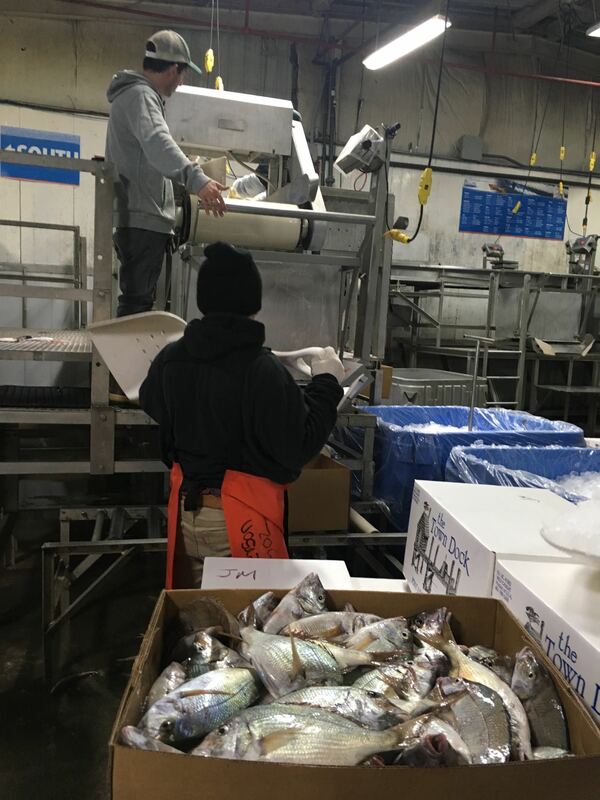 The scup are then fed into the pack house and into boxes. 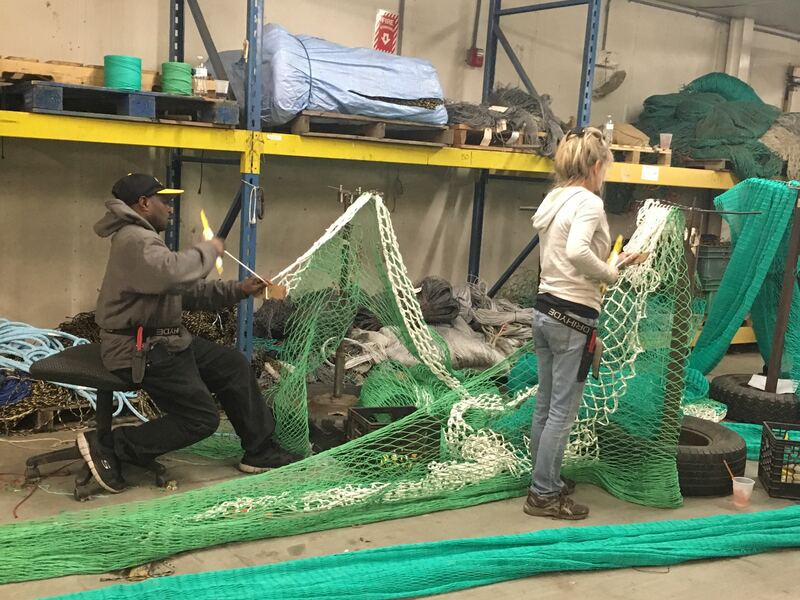 We also visited Superior Trawl, one of few remaining American companies that makes and innovates custom trawl nets. Machine woven netting is imported from India and Portugal and then cut and custom assembled based on depth of fishing, anticipated size of fish, and fish behavior. 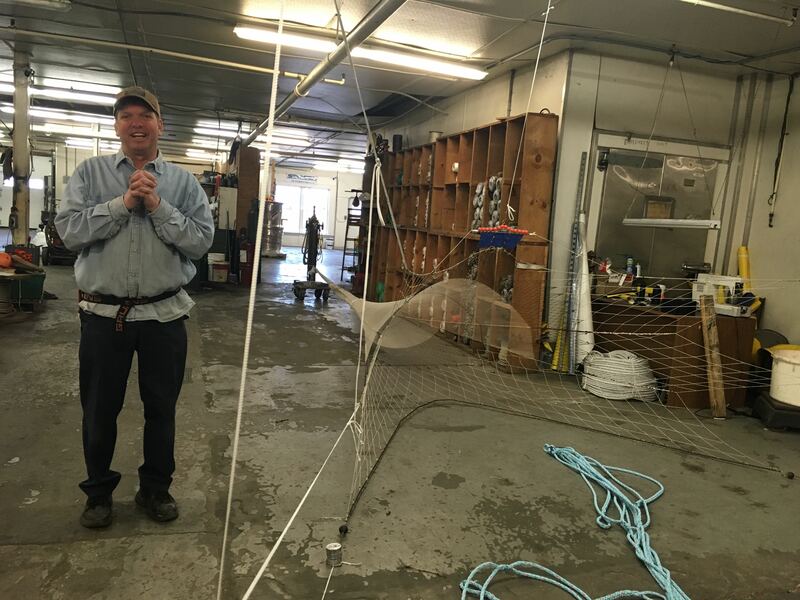 Here is Jon Knight, the owner of Superior Trawl, with one of their custom nets. This net increased the efficiency and sustainability of the catch by reducing bycatch significantly.